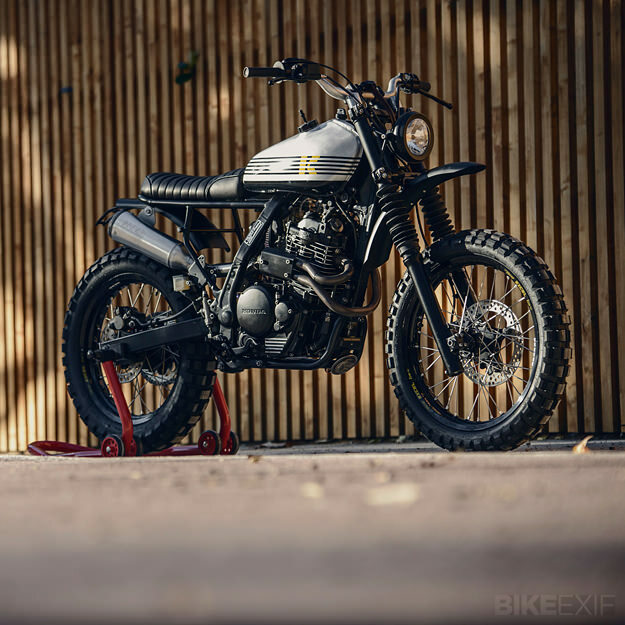 ‘Dos’ is a short, sharp shock based on a 1991 NX650. 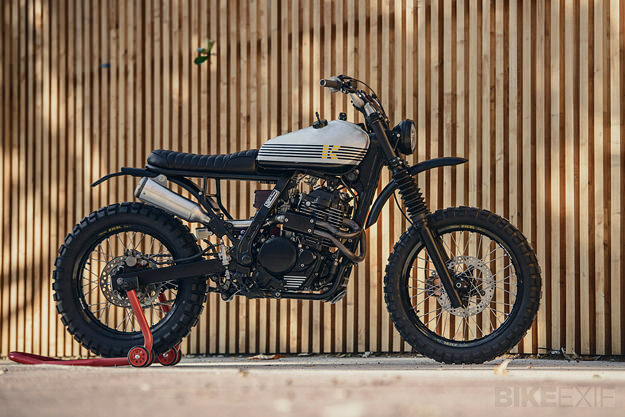 It’s styled even more aggressively than the first Kiddo Motors build, and it’s fast: Sergio has completely rebuilt the motor, adding a Keihin FCR carb from a Honda CRF450R. 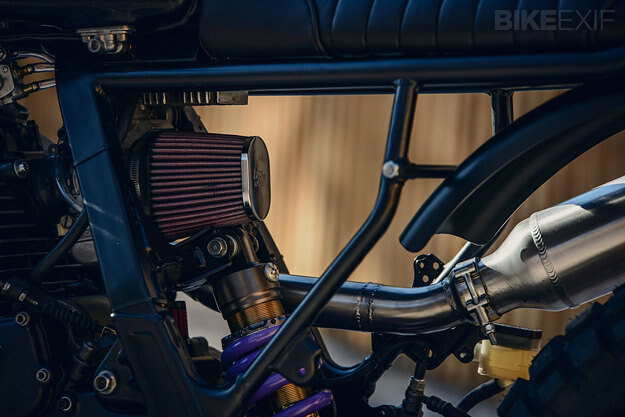 A custom 2-into-1 exhaust feeds into a SuperTrapp muffler. 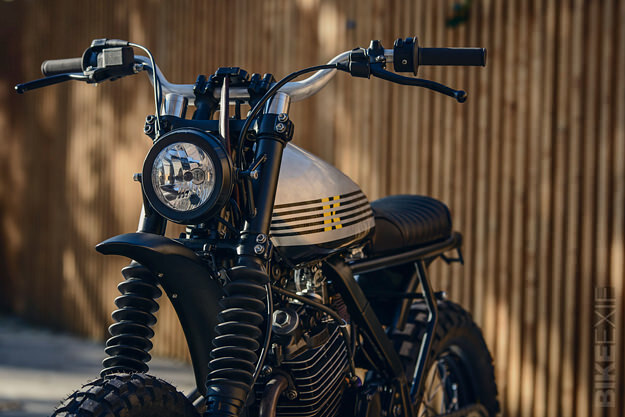 He’s also reworked the frame to create a stubby, purposeful scrambler, with a comfortable custom gel seat for the rider. The aluminum tank is from a Yamaha XT500 and the bars and risers are from Easton, with Renthal grips and new switchgear. The tank now hides a lot of the new electrical system, including a Ballistic li-ion battery. Excel Takasago rims—19” front and 18” rear—are shod with Continental Twinduro TKC80 rubber. Hyperpro supplied the rear shock, and also a set of progressive springs for the rebuilt forks. The front fender is a modified Harley item, believe it or not, and the rear fender is a one-off custom fabrication. 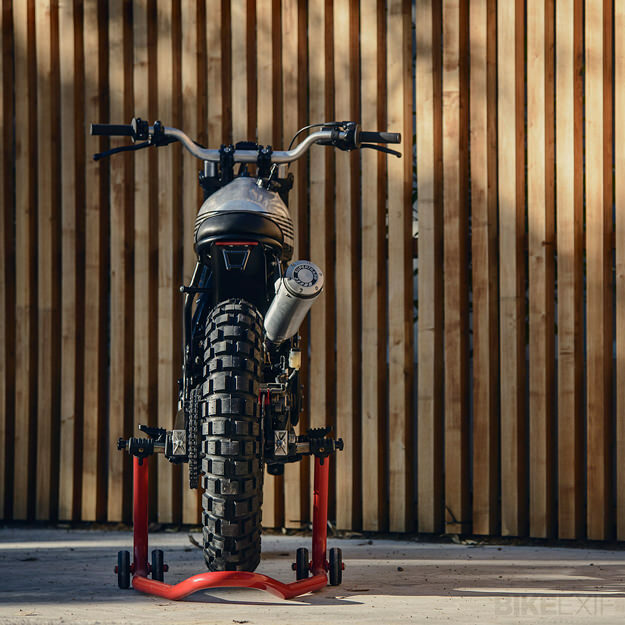 Before delivering the bike to its Milanese owner, Sergio put ‘Dos’ on the scales. 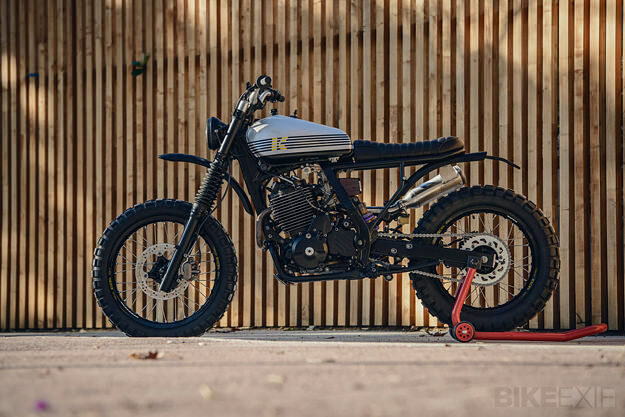 It clocked in at a mere 143kg, a drop of 25 kilos over a stock NX650. Looks like a fun ride, doesn’t it? Images by Sebas Romero/Blackmedia Crew. Follow Kiddo Motors via their stylish website or Facebook page.